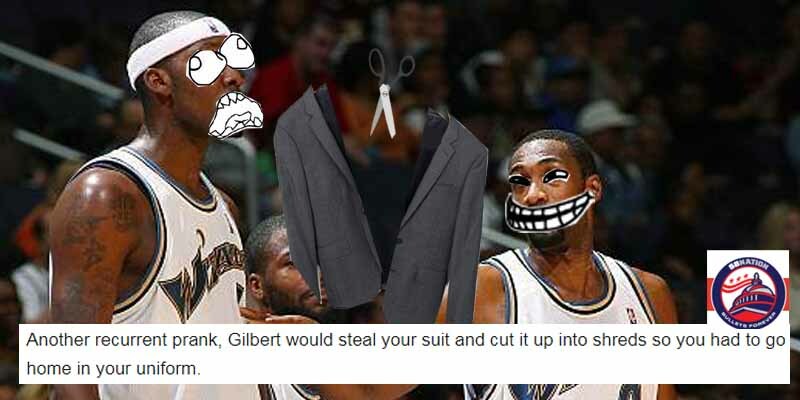 A recurring prank No Chill Gill would play on his teammates was to cut up their suits in the locker room so they would have to go home or to the hotel in their uniform. Most NBA players can afford a new suit no problem, but you have to feel bad for the rookies and bench warmers. This prank was the catalyst for the next one.